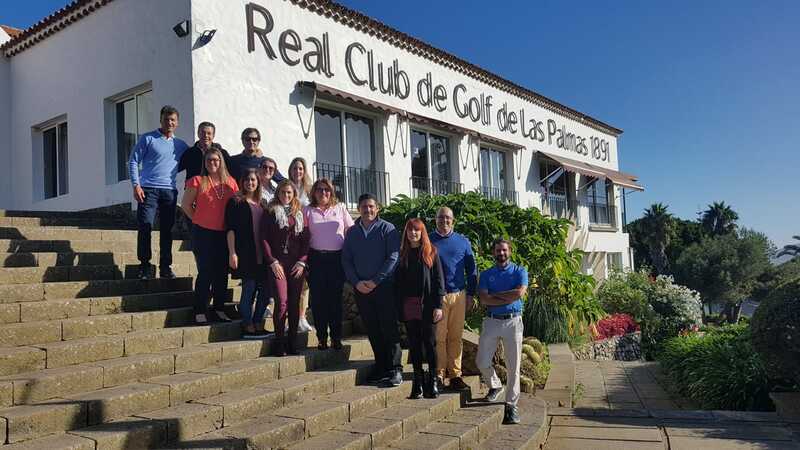 We would like to congratulate the Spanish Association of Golf Managers for the organization of the Digital Innovation Course for the golf courses which took place yesterday at the Royal Club of Las Palmas. We had the pleasure of attending with our colleagues of Jandía Golf Course, Maspalomas Golf , Anfi Tauro, Real Golf Club of Las Palmas, Gran Canaria Golf and Lanzarote Golf to know and share the wonderful choices of promotion of our golf courses by using Digital Marketing tools. Thank you Emma García of Los Naranjos Golf for sharing with us your great experience and your ideas about how to improve our sales.